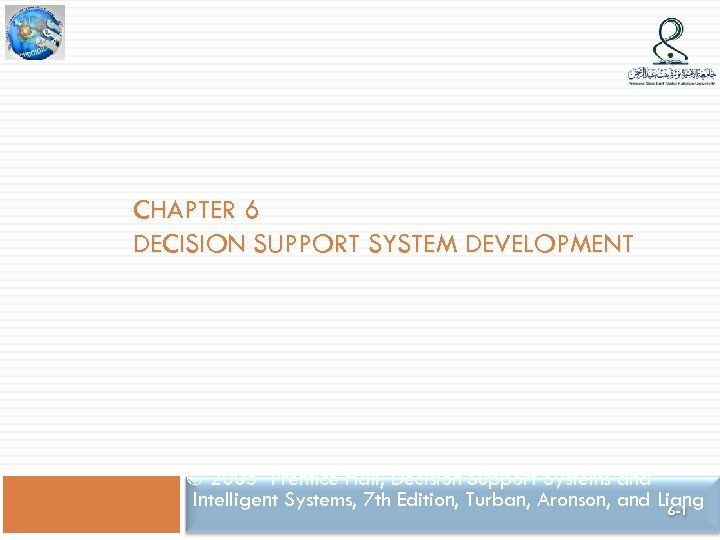 CASE Tools 6 -5 These tools are essentially information systems, for systems analysts and can help manage every aspect of developing a system. 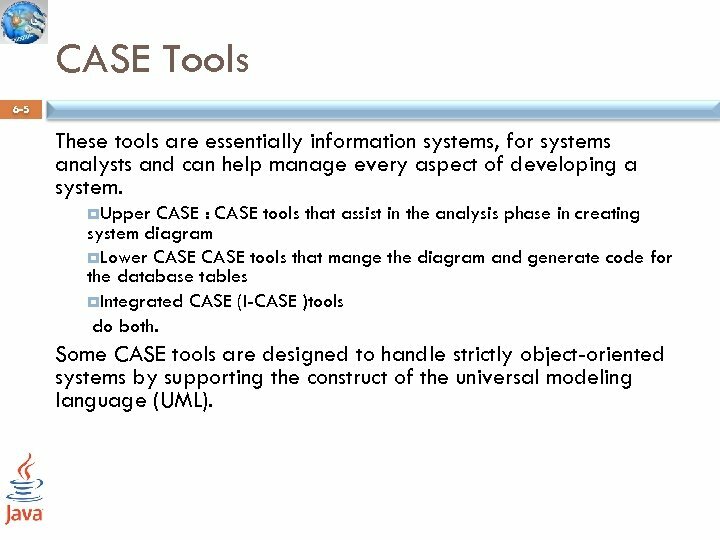 Upper CASE : CASE tools that assist in the analysis phase in creating system diagram Lower CASE tools that mange the diagram and generate code for the database tables Integrated CASE (I-CASE )tools do both. 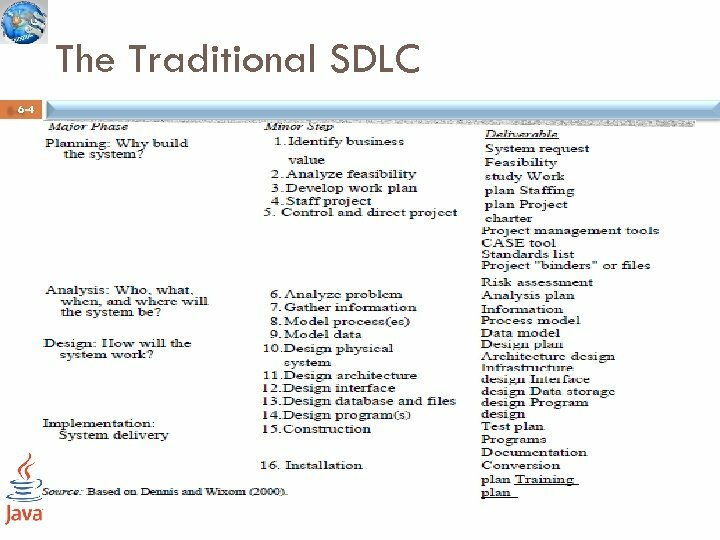 Some CASE tools are designed to handle strictly object-oriented systems by supporting the construct of the universal modeling language (UML). 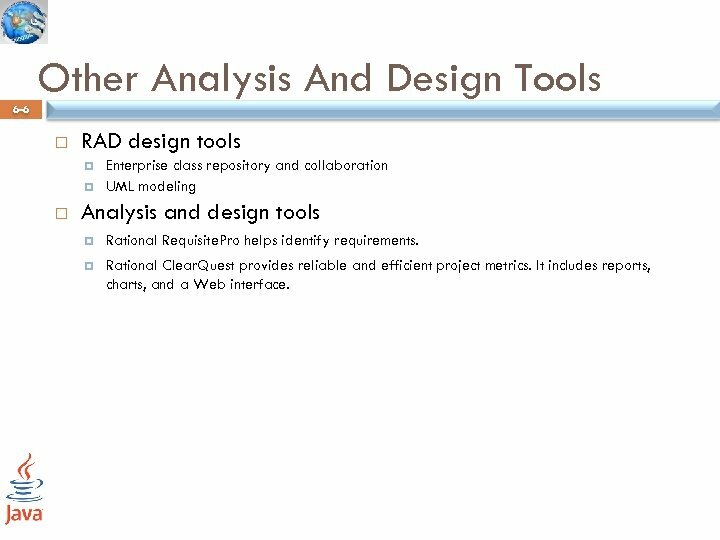 Other Analysis And Design Tools 6 -6 RAD design tools Enterprise class repository and collaboration UML modeling Analysis and design tools Rational Requisite. 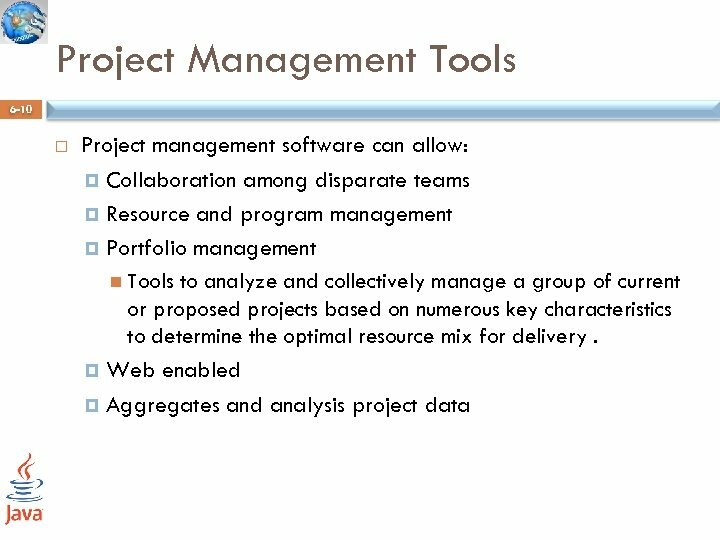 Pro helps identify requirements. 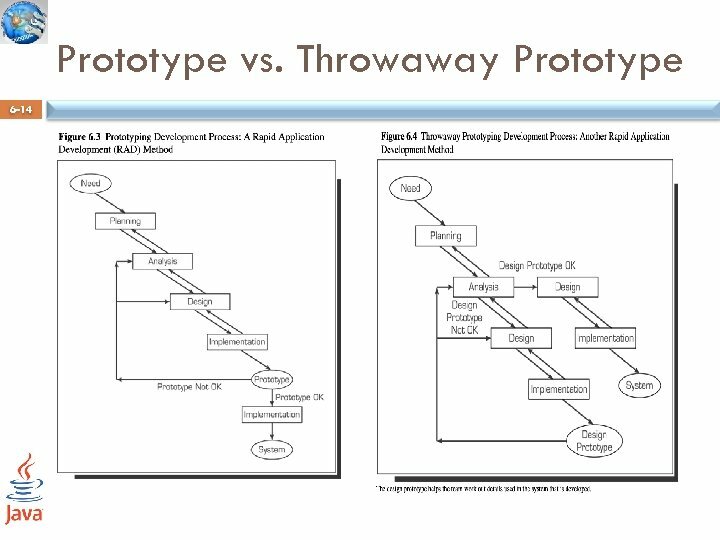 Rational Clear. 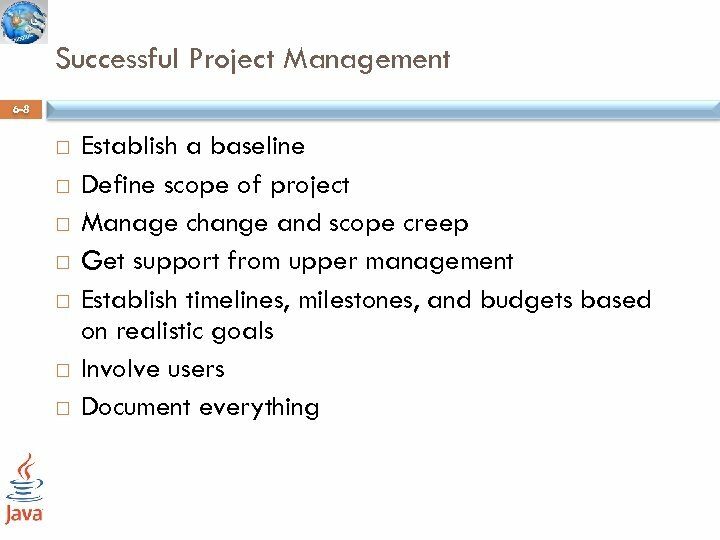 Quest provides reliable and efficient project metrics. 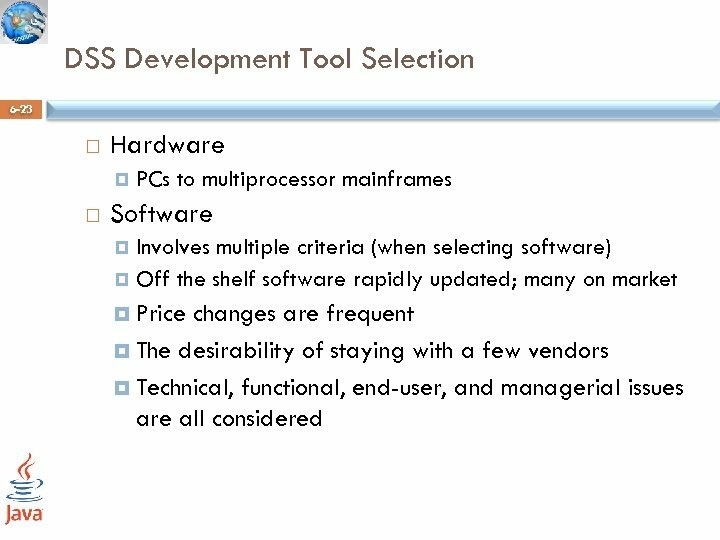 It includes reports, charts, and a Web interface. 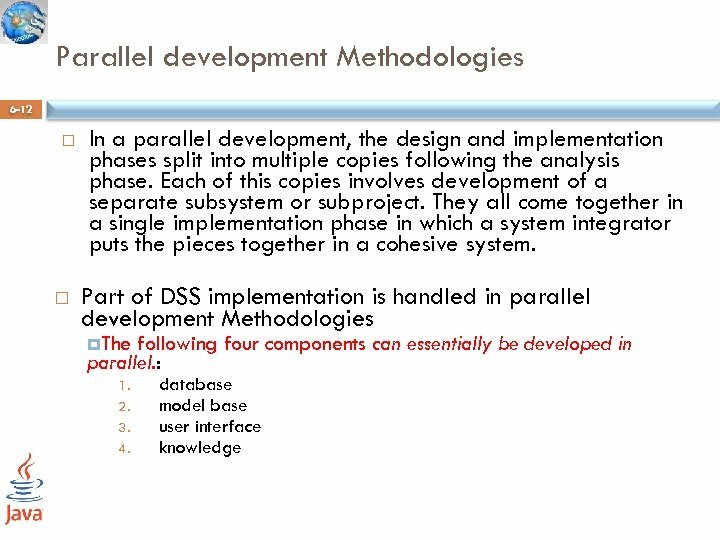 Other Development Methodologies 6 -11 Parallel development Methodologies. 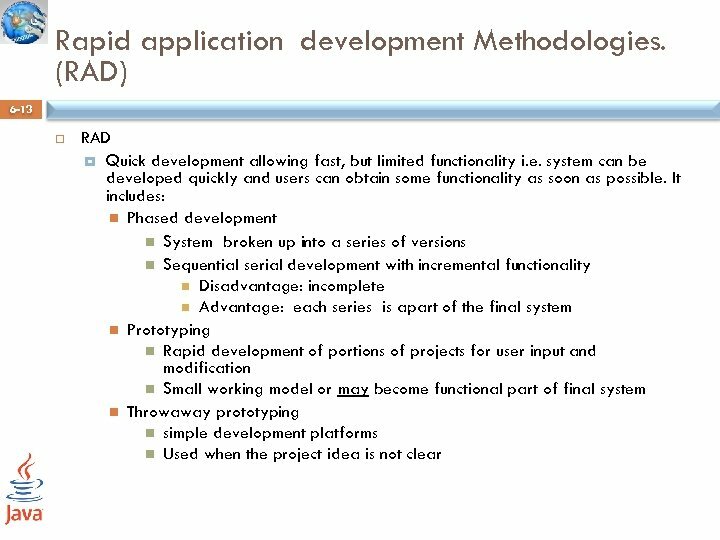 Rapid application development Methodologies. 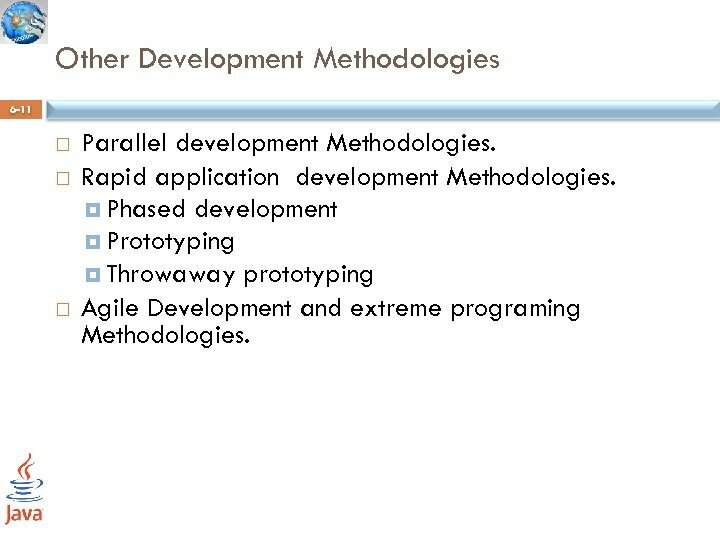 Phased development Prototyping Throwaway prototyping Agile Development and extreme programing Methodologies. 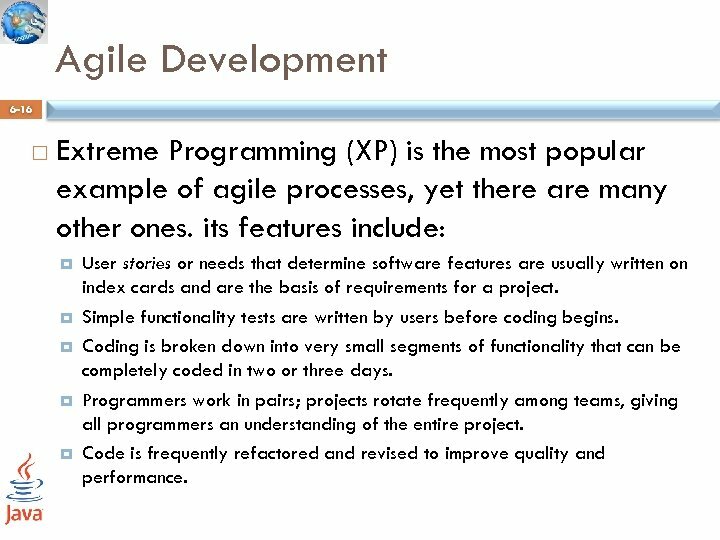 Agile Development 6 -16 Extreme Programming (XP) is the most popular example of agile processes, yet there are many other ones. 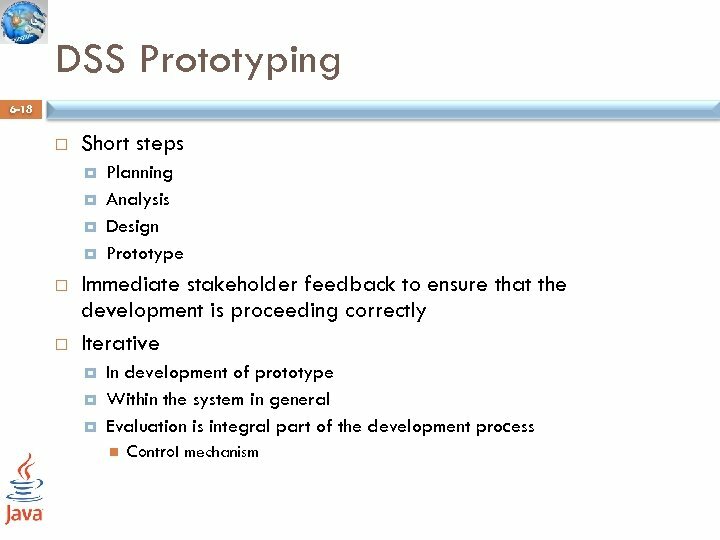 its features include: User stories or needs that determine software features are usually written on index cards and are the basis of requirements for a project. 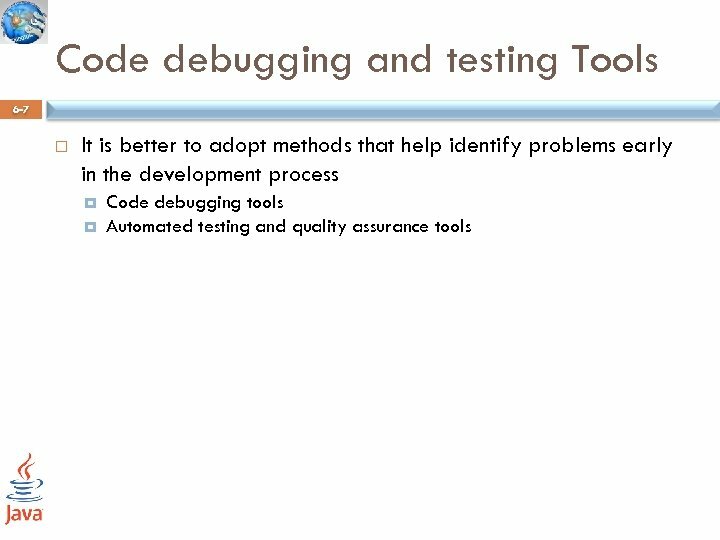 Simple functionality tests are written by users before coding begins. 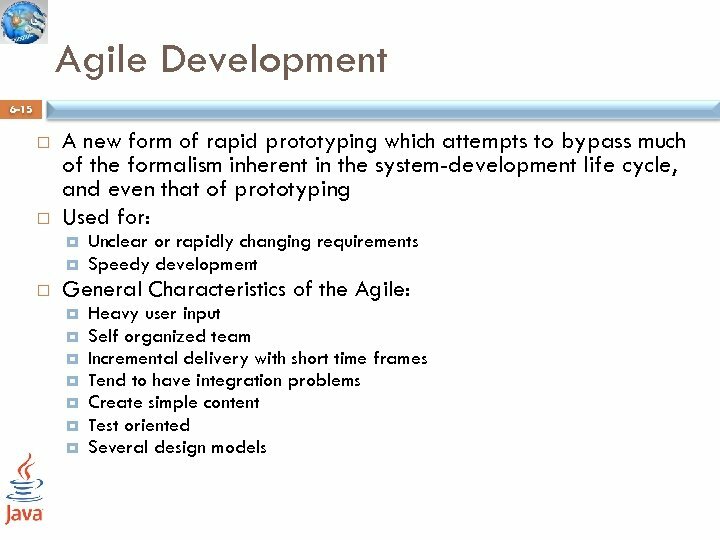 Coding is broken down into very small segments of functionality that can be completely coded in two or three days. 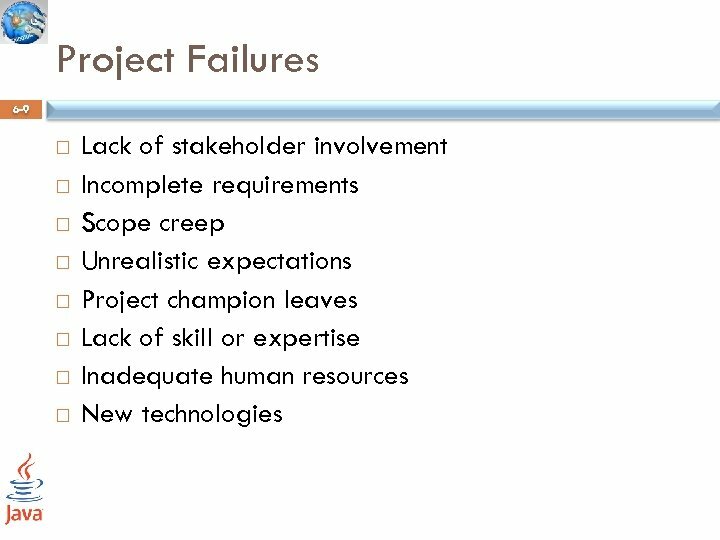 Programmers work in pairs; projects rotate frequently among teams, giving all programmers an understanding of the entire project. 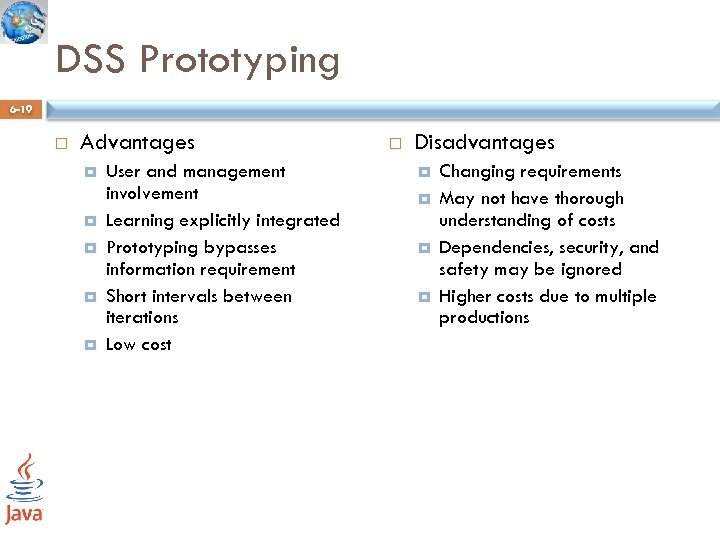 Code is frequently refactored and revised to improve quality and performance. 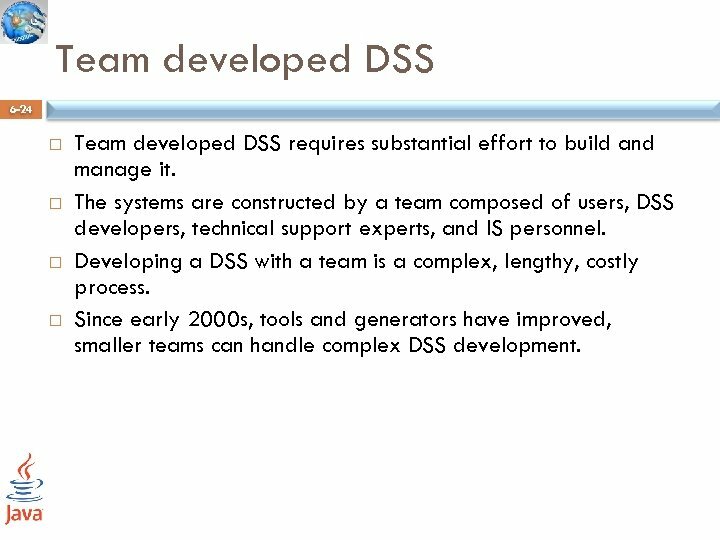 Team developed DSS 6 -24 Team developed DSS requires substantial effort to build and manage it. 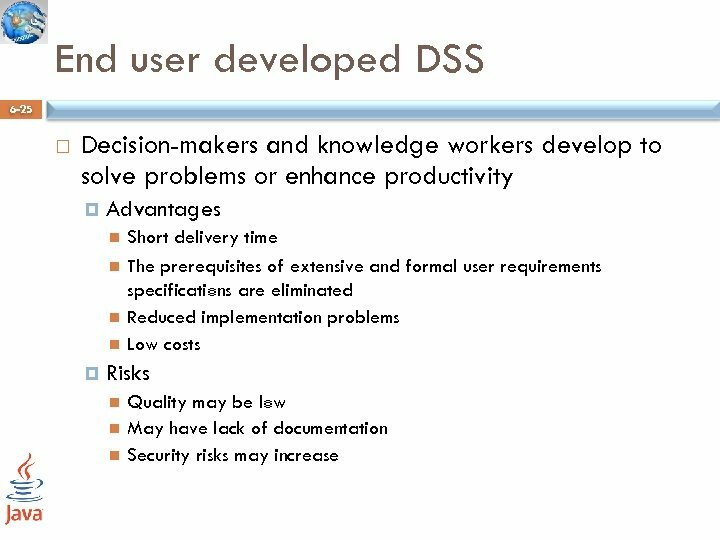 The systems are constructed by a team composed of users, DSS developers, technical support experts, and IS personnel. 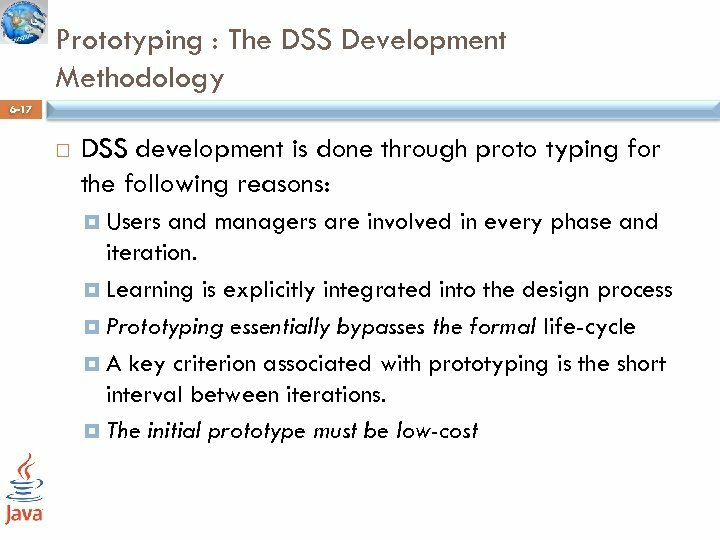 Developing a DSS with a team is a complex, lengthy, costly process. 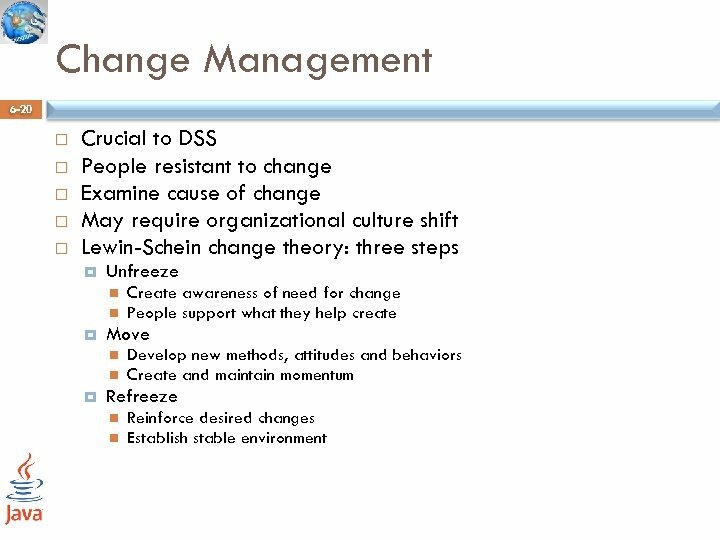 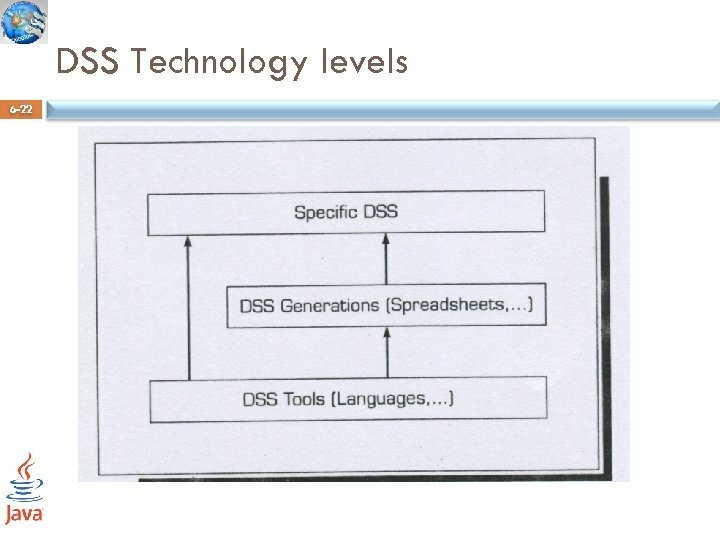 Since early 2000 s, tools and generators have improved, smaller teams can handle complex DSS development. 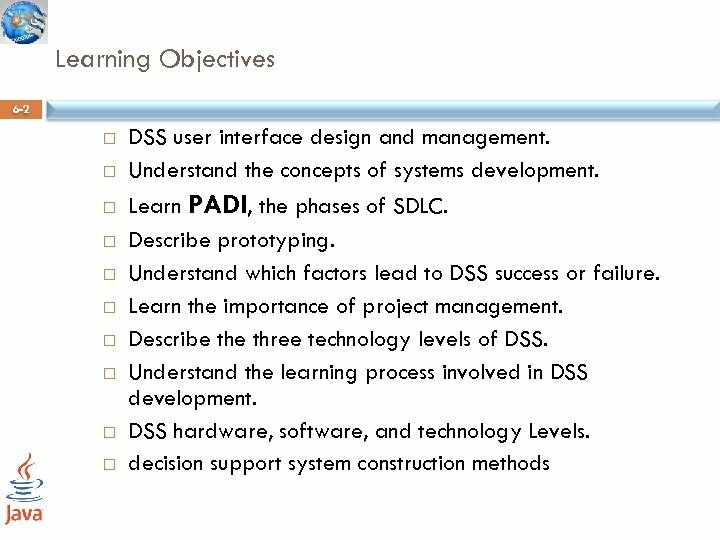 Developing DSS: Putting the system together 6 -26 Two important concepts: The use of highly automated tools throughout the DSS development process The reuse of prefabricated components. 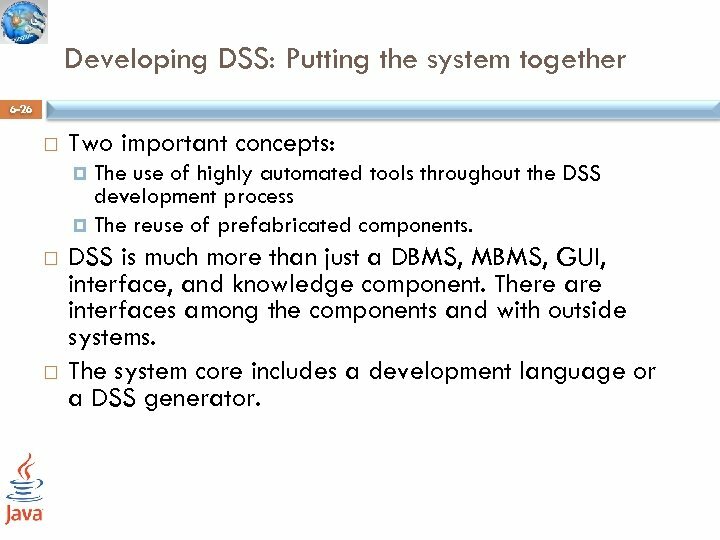 DSS is much more than just a DBMS, MBMS, GUI, interface, and knowledge component. 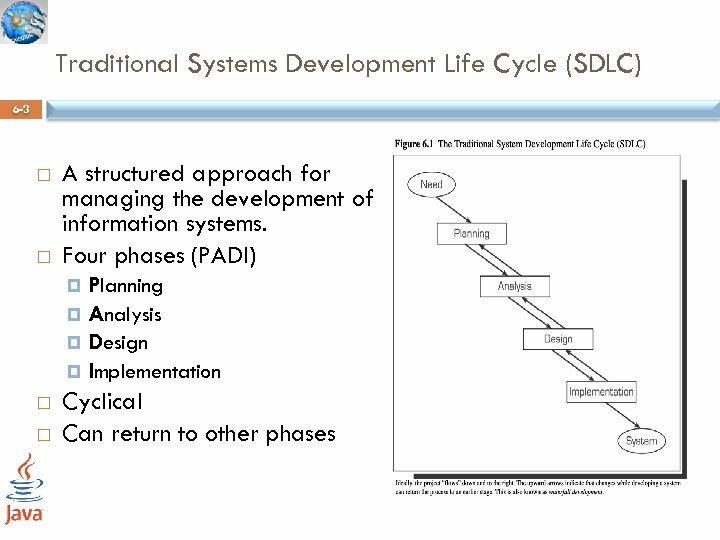 There are interfaces among the components and with outside systems. 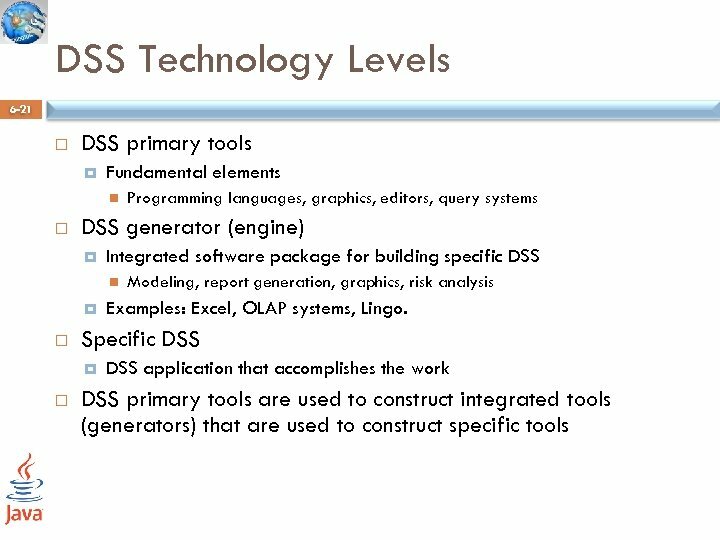 The system core includes a development language or a DSS generator.